Is your home full of weird nooks, tight corners, and awkward spaces? Known as dead zones, these undervalued spaces in the home are often overlooked because they offer less room for creativity. Tight spaces and awkward corners are the great equalizers of design. These spots shouldn’t be left bare and neglected. 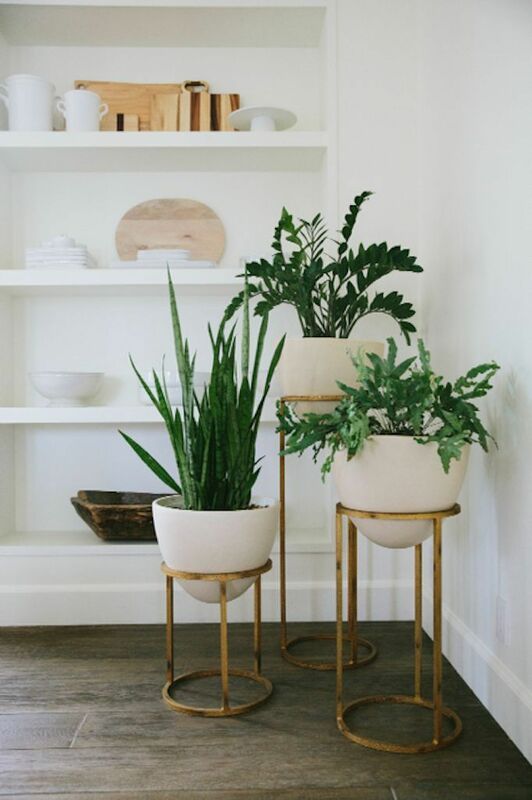 One of my favorite ways to decorate weird in-between spots involves using huge potted plants because it’s so easy. There’s no need to overthink how to make tight corners pop, a statement plant is all you need. The verdant foliage softens the stark angles of a corner while defining the space. This trick is also a terrific way to add a pop of color and texture to plain interiors. That weird space behind the door is a great spot for a console table and a mirror. This trick is extra helpful for homes with no formal receiving area or mudroom. The console table stretches the storage space of the home while the mirror makes the small home interior design appear larger than it really is. What’s more, these useful decors made the weird, bare corner look extra chic while making every square inch of space work harder. Tiny homes and small apartments tend to have lots of awkward corners and limited storage space. Turning tight spots into storage space is like hitting two birds with one stone. You get to dress up these weird spots while also stretching your storage space. Propping a tall ladder against the wall is one way to make bare corners pop. 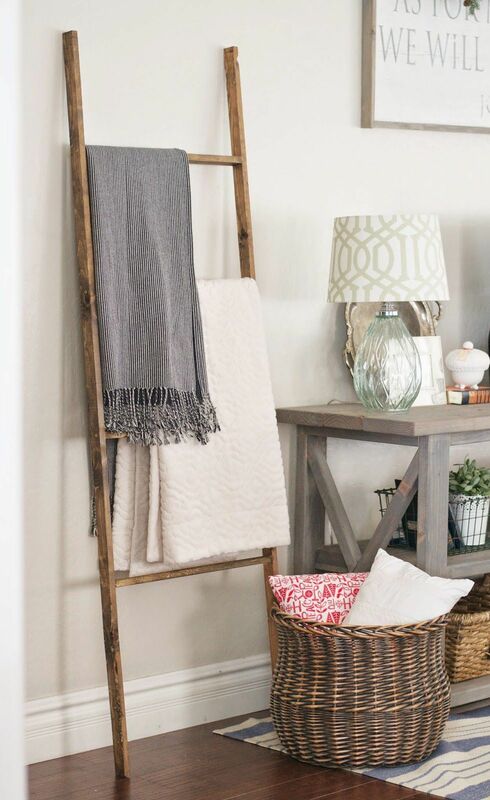 The ladder also pulls double duty as storage for your blankets, scarves, magazines, etc. Match the weird angle with a sectional sofa! The great thing about a sectional sofa is the flexibility. It can match even the weirdest angles. This trick allows you to dress up odd corners while also expanding your small apartment’s seating capacity. A variation of this small home interior design is to use a statement chair. This is a great trick for small living rooms with limited seating. 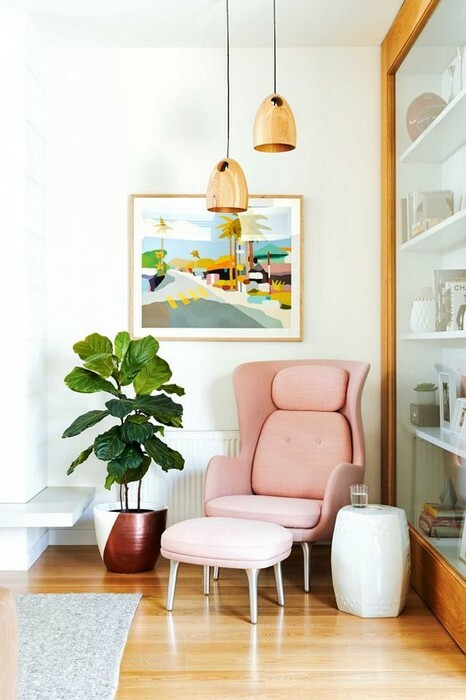 Just set an eye-catching chair on any weird corner of the living room and voila, you’ve got more room to entertain guests! If your apartment doesn’t have a formal spot for a dining room, try setting a round table in a corner. Place two to four chairs and you have a cozy little nook for eating! Since your space can’t accommodate larger pieces of furniture, a round table is a great alternative to a rectangular one. A petite round table could seat more people than your conventional square or rectangular dining table. The shape of a round table is also suitable for awkward spots. 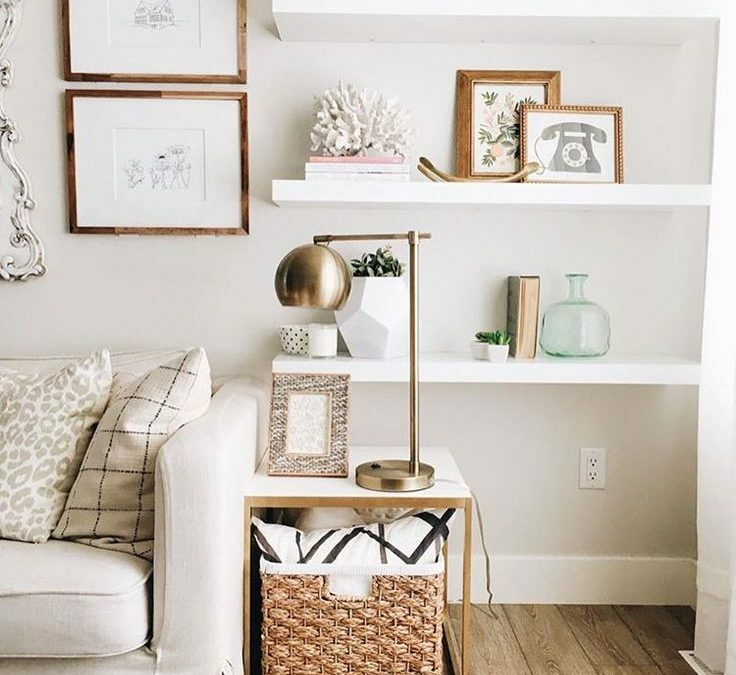 If you love books and you’ve got a bare spot just waiting to be dressed up, why not use this space to make your own reading nook? Just set a comfy chair, add a couple of colorful throw pillows + a pile of books and you’ve got a great spot to curl up and read! 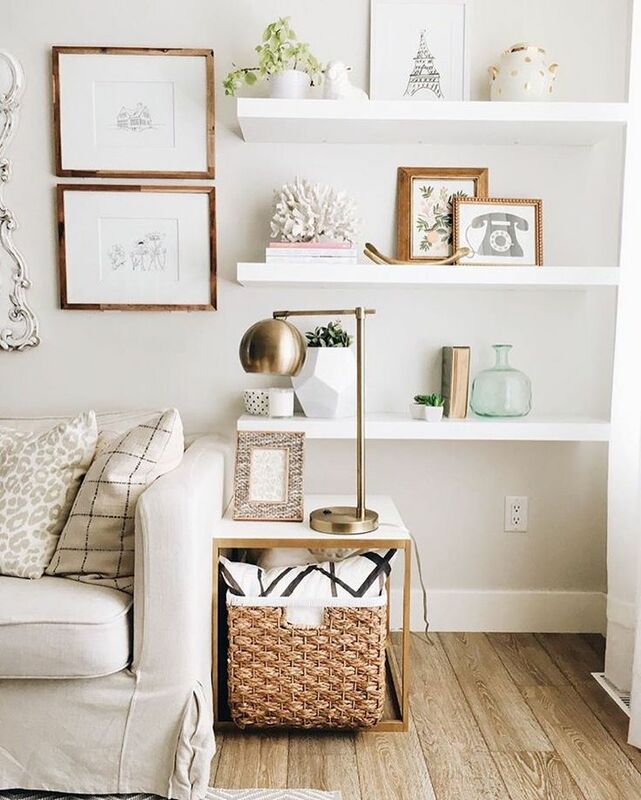 If the space is big enough, you can also add a tiny side table and a lamp to complete your reading nook. This tip is perfect for that blank spot under the stairs or the weird nook near the windows. Enhance your small home interior design by turning an unused corner into storage space. This is a great idea for homeowners that are running out of room in their small home! Use the corner cabinet to organize your living space and display decors too. And if you can’t find a ready-made corner cabinet that suits your taste, have one made. It’s a worthy investment especially for a small home that’s in dire need of a makeover. 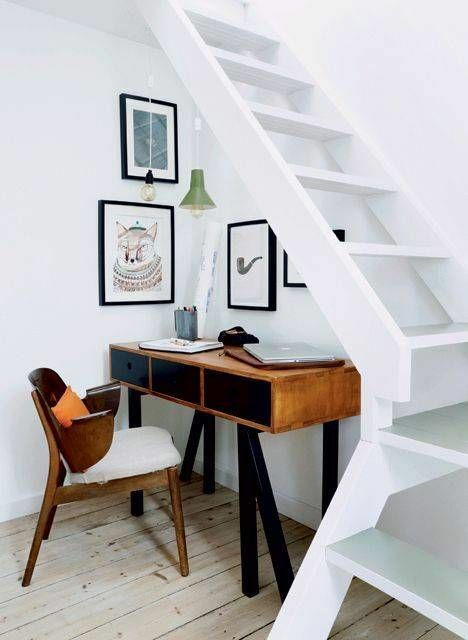 Yes, a naked nook can be transformed into a mini office and it doesn’t take much to dress up the space. Just place a petite desk against the wall, set your computer up, add an office chair and voila, you can get things done at home. Spruce up your mini office with cool decors, such as quirky office supplies, a painting or two, etc., to personalize your work area. I love this idea because this is precisely how I jazzed up a weird corner in my living room! A variation of the idea above is installing corner shelves as opposed to setting a corner cabinet. Again, a great idea if you need to squeeze in more storage space for your stuff. Corner shelves allow you to make the most out of awkward spaces without spending $$$ on customization. You can either buy the shelves from your local furniture store or make your own during the weekend. That naked, dark nook under the stairs can be transformed into a cozy seating area for guests. Set a bench to dress up this spot and turn it into a functional part of your home. Spruce up your seating area with artworks, a few decors, a floor lamp, and you’re done!